Stretch belts use self-tensioning technology, and do not require a belt tensioner or any adjustment throughout its life. 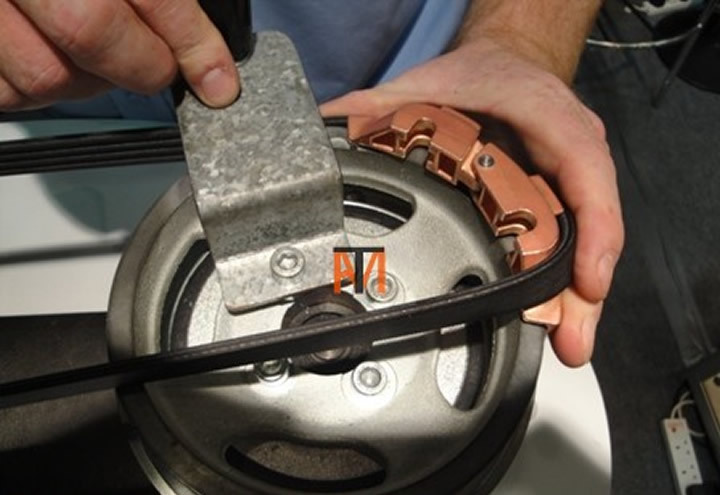 Although you do need a special tool to replace the belt, this may come with the belt (Ford Focus) if purchased from main dealer. There are many tools available two are shown below. They are on both shown on display rigs at a trade show. Both tools stretch the belt by the mechanic turning the pulley (nice handle on the display rig) as the tool guides the belt on to the pulley. 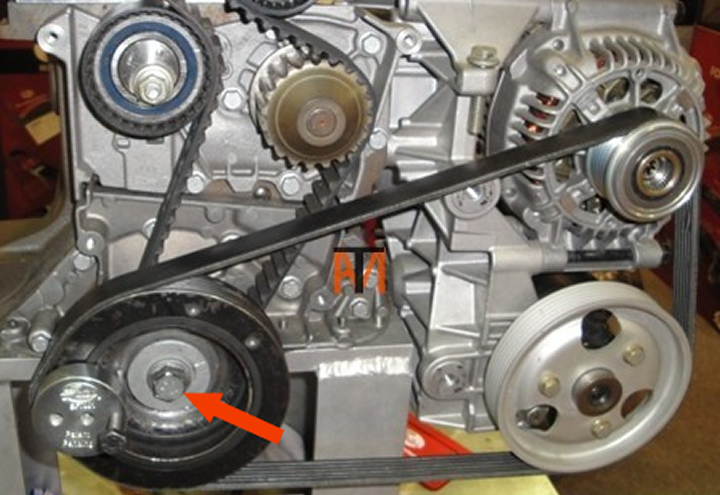 The pulley would be turned using a socket on the crankshaft bolt, only turn this in the direction of normal engine rotation. Note the belt is shown half fitted.